Chris Koch owes a huge debt to filmmaker Spike Lee. Back in 1996, Lee contacted Koch, then the president of New Era Cap company, which has the official license to make hats for Major League Baseball, about making a New York Yankees hat in red instead of the traditional navy. 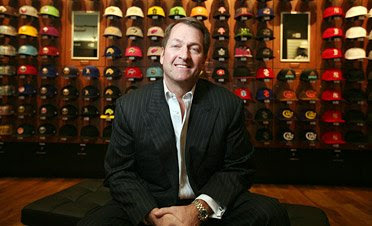 At the time, producing a cap in anything but a team’s original colors was considered sacrilege, but Koch recognized the potential marketing bonanza of his company’s hats being seen on the head of the trendsetting Lee.